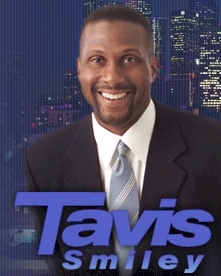 Tavis Smiley is no good for Black folks! Actually, I believe the exact opposite, strongly. I used the provocative title to draw attention to this blog post. My hope is that you’ll continue to read the rest of what I’ve written and be moved to support the Brother’s efforts. I freely admit that I was not always a Tavis Smiley fan. When presidential candidate, Barack Obama declined to participate in Smiley’s 2008 State of the Union meeting; Tavis openly criticized Obama. I felt Smiley’s reaction was a mistake; perhaps driven by pettiness or even jealously. My opinion was reinforced earlier this year when an angry Al Sharpton criticized Tavis for misquoting him regarding Obama’s need for a Black agenda. In retrospect, I don’t believe Tavis was being petty. Tavis was simply not going to give Obama a pass because he was Black. Many Black leaders apparently felt it was more important to get the man into office first, then deal with our issues later. Well later has come and still too few Black leaders are willing to criticize the President. Tavis continues to hold the President accountable with it comes to Black folks. To do this publicly, as a Black man, takes courage, and for that Smiley has my respect and admiration. But the real meat of Tavis’ impact comes from his institution building. Tavis Smiley has been in the media for over 20 years; from his political commentary on the Tom Joyner Morning Show, to BET Tonight with Tavis Smiley (the one saving grace of BET if you ask me), to Tavis Smiley on PBS (over 1,000 broadcasts), to Tavis’ new radio program on PRI Smiley & West (download the podcast from iTunes), Smiley’s record of addressing important issues in our community and bringing important people to the fore front is prodigious and sorely needed. As a book seller I’m most familiar with Tavis’ Publishing company SmileyBooks. SmileyBooks led by publishing icon Cheryl Woodruff is a co-publishing venture with Hay House. Tavis has written or edited over a dozen books himself, which is impressive enough, but the legacy he provides by publishing others carries greater importance. Iyanla is an AALBC.com best selling author going back to 1998. The story of Vanzant’s personal journey toward peace from personal struggles and tragedy will resonate with many people. Iyanla’s down to earth and humorous style is makes her books even more appealing. Dante has a business savvy which is rare for someone his age. His business skill is matched by his consciousness which is quite rare for any business person. Old and young can learn from this dynamic young Brother’s book. Given the tremendous impact that media and marketing has on all of us; the issues addressed in this book make it required reading for Black folks. Burrell founded Burrell Communications, one of the first Black owned advertising agencies. Heed Burrell’s warning — he knows first hand. I hope you are inspired to buy and read some of these or other titles from SmileyBooks.